In light of the importance of developing and diversifying the Iraqi economy and implementing the major projects that promote its development and in light of the initiative of the Prime Minister in mid-December 2018, during his meeting with the Special Advisor to the Japanese Prime Minister and his accompanying delegation and calling on the Japanese side to establish a joint fund to finance projects that promote cooperation between The two countries in the field of reconstruction and economy to be funded by the Iraqi side of the Iraqi oil revenues exported to Japan, as well as the Japanese side also funded the encouragement of Japanese companies known and have already worked in Iraq. He pointed out that "the Baghdad Economic Forum picked up this initiative and found that shedding light on this giant project and research in laying out the outline of its implementation is a national duty that must be contributed to its maturity as a team of its experts prepared the draft of the establishment of the Fund and its executive functions and how it works. Concentration has been highlighted important axes of which will contribute to the fund to strengthen economic relations and cooperation between the executive institutions in both countries, and to ensure part of the revenues of Iraqi oil source will be invested in service and production projects. 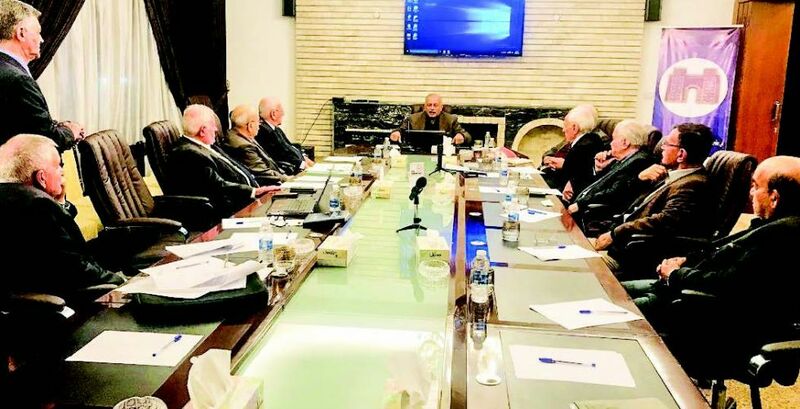 "The creation of an economic partnership at this high level with an economy with a high international standing will lay the foundations for the implementation of projects with efficiency, technology and high standards, as well as the participation of the planning, executive and technical cadres of both countries in joint work that will raise the level of the capabilities of Iraqi cadres. This partnership will create an integrated competitive environment that will be a model and model for other economic sectors to follow suit. This project has a practical opportunity for long-term development and expansion, expansion in various economic fields and the possibility of replicating this project in other international partnerships. The Japanese government has pledged to ensure that the Kurdistan Region will receive a share of any loan it grants to Iraq. The President of the Organization Faridoon Zamdar said in a press statement on Wednesday that Japan has positive attitudes towards the Kurdistan Region in the past years when Japan was granting long loans to Iraq, the latter was not willing to give the province a share of them, but after the efforts of the Organization and the provincial government allocated 20 Of the loans to the region, and has been implementing several projects benefiting from those loans, including in the field of electricity in the district of Amadiyah and a number of other projects in other provinces in the region. Zamadar said that Japan is one of the countries that wants to transfer the headquarters of a number of companies, to the world, but, because of the poor relations between Tokyo and Baghdad could not benefit from the rich experience of Japan. He continued, however, that the Kurdistan Region was able to establish good relations with Japan as there is a headquarters for a number of Japanese companies in the region, especially the agency JICA, which had good services in the region. Zamdar pointed out that his country is seeking to open a number of Japanese brands in the region, including the branch of spare tools for cars, where he guesss the number of Japanese cars in the region 60 percent of the total, adding that a number of headquarters companies producing soft drinks and medical supplies will be opened soon Territory. He added that this year will see the taking of good steps in order to be a Japanese investment role in the investment and trade in the Kurdistan Region.